Edisto Beach has long been known as a quiet beach perfect for families who want to spend time enjoying the simplicity of a no-frills beach vacation. But back in the 1950s and 60s, Edisto was a happening place. Edisto local Henry Collins and his family owned the establishment for years before selling it a few years ago, but he said it seems like yesterday that the pavilion was at the center of a hotbed of excitement on the beach. 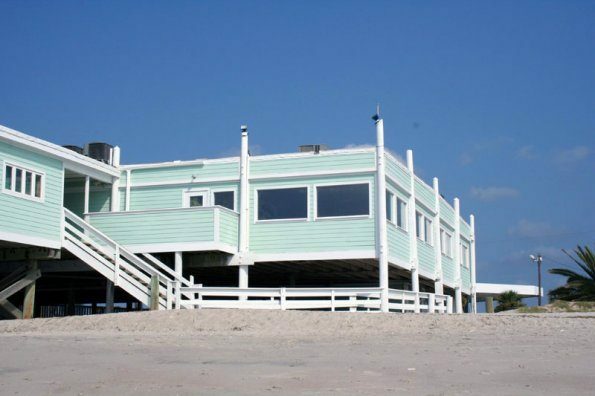 According to Collins, the pavilion started off as a restaurant with a 1,200 foot fishing pier. But the pier didnt last long. In 1959 Hurricane Gracie stirred up off the coast and while significant damage wasnt done to the majority of Edisto Island, the pier was destroyed and had to be rebuilt. This was the beginning of the tribulations that would plague the pier throughout its history. During this time, the pier and the pavilion provided some of the best entertainment on the island. Young people would come out every weekend to have dinner, shag in the dance hall, and walk out on the pier. This was also when Edisto Beach had a small hotel and a bowling alley where the Horizon gas station stands now. Nowadays, Edisto is about the only place in the whole world without a hotel, Collins said. Collins said people would spend the day at the beach and then get cleaned up and come down to have dinner, dance, bowl, and socialize. Collins said the good times lasted a long while before another hurricane came through in the 70s and took out the pier once again and damaged the pavilion. Everything was rebuilt except for the pier. As time went by and peoples tastes changed, Collins said people quit wanting to spend time at the bowling alley and the dancehall, so they were torn down to make room for a gas station. Although the bowling alley and dancehall faded away and became nothing but memories for Edistos locals and vacationers, the pavilion and what was left of the pier remained and continued to be one of the most visited locations on the beach. Much like it is today, the pavilion provided locals and vacationers with a place to have dinner, shop, and offered an arcade for the kids. But in 1984 what Collins referred to as a severe fire caused by a lightning storm cause the pavilion and remnants of the pier to go up in flames. Collins said it was rebuilt in 1985 and has remained mostly unchanged ever since. Too bad there aren't any good pictures posted of the pavillion from the back when the wide staircase went right down to the road... Even up through the mid-seventies that first landing on the stairs used to be THE hangout. My folks tell a story involving Alka-Seltzer and carbonated beverages and why you shouldn't combine them that took place there... ;-) Lots of great memories from that place; including pinball, pool, and soft-serve icecream after playing putt-putt in the State park ! I remember spending my summer vacation ( mid 80's middle school) meeting up with my Walterboro friends at the arcade. My Parents began vacationing at Edisto in the 50's. I began taking my own family vacations there 20 years ago. I have not missed but one year since. There is no other place Id rather Be. My 3 children love it, the fishing, the crabing the beach and just hanging out. I spend endless hours hunting fossils and shells.I have a grand collection of everything imaginable. We love it so much that my best friend & I drive 6 hrs round trip in one day just to come on saturday and sundays. Its medicine for the soul! My dream is to have a small peice of land there. My 17 year old dreams that he will buy me that peice of paradise one day! I have been coming to Edisto for about 25 yrs (since i was 10) with my family. I have gone to the pavillion every year since i began. I love this place and all it's beauty!!!!! Loved the pavillion when I was a kid and we travelled south from Rhode Island to visit relatives in South Carolina. We spent a whole week at Edisto and it was great! thanks for the memories.